Click here to sign up for e-mail announcements and new from the IAC of Wayne! 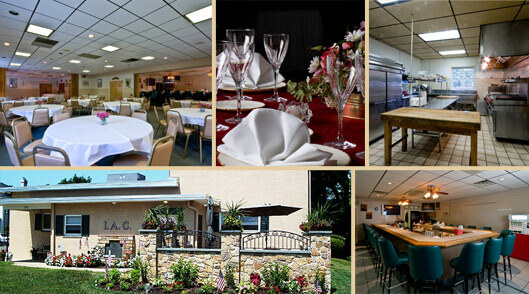 The Italian-American Club of Wayne is not only a great place for you to hang out with friends and family and enjoy good times together, but can also accommodate your needs for large functions and parties. Birthdays, wedding receptions, corporate events and more are all welcomed here. Members of the club have access to rent the club out and all of its amenities like of full size kitchen, dance floor and a hall that can accommodate up to 185 people (140 if dance floor is used). Our bar and restaurant offers lunch, dinner and the friendliest of service all week long. We also have ample parking at the club for our members. If you are interested in joining the IAC and/or renting the club, please give us a call at 610.688.9862.